Prepare yourself for a new deluge of high-pitched voices and endless, addictive quoting, internet folks, because Monty Python is coming to Netflix. 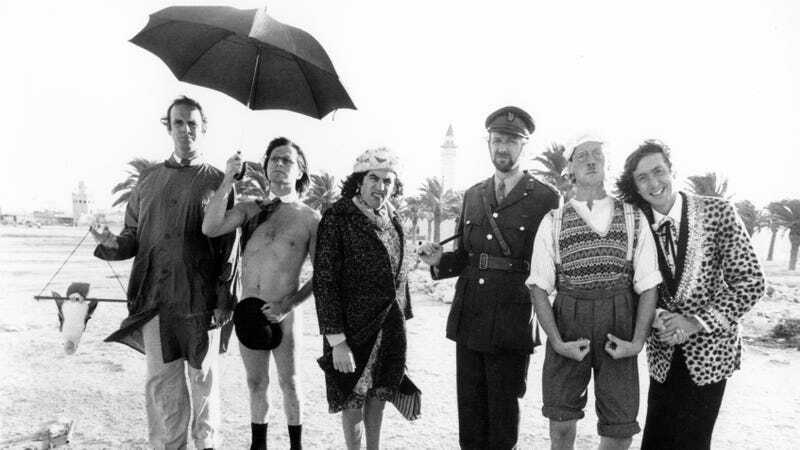 Not in drabs or drips, either; according to Deadline, the streaming service has apparently signed a deal for every single silly-walking, brilliantly absurdist minute of the beloved British comedy troupe’s work, including movies, the TV series, and videos of their various live shows. First up, of course, will be the films, including Holy Grail and Life Of Brian. U.S. fans will have to wait a little longer to start shouting “Ni” at each other, though, because, while Netflix subscribers in the U.K. and Canada will get the movies next month, the Stateside deals are going to take a little longer. When it comes, though, it’ll apparently be pretty much all of it: Flying Circus, Meaning Of Life, the documentary Monty Python Conquers America, plus more recent material, like the 2014 live show Monty Python Live (Mostly). There’s no exact word on when all the Python content will arrive in the U.S., but you’ll presumably know that it’s happened when we start hearing the inescapable rising sound of “funny” college students reciting the Dead Parrot sketch back and forth at each other, over and over again.